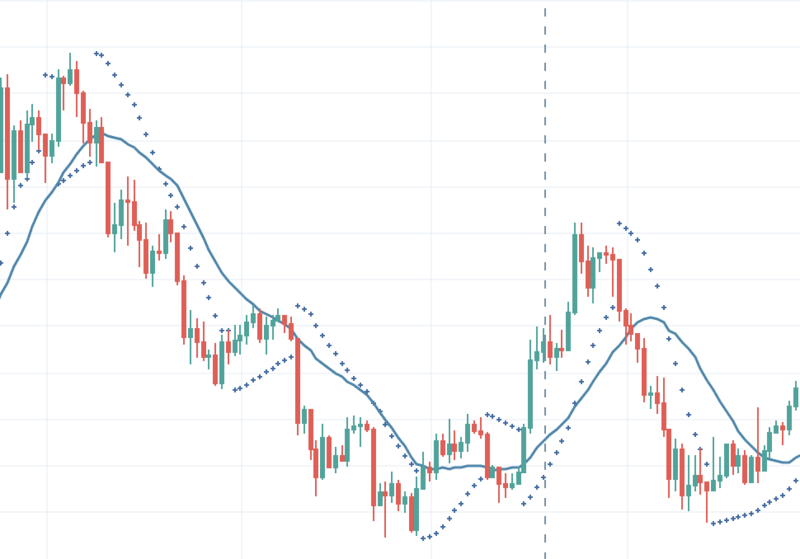 This oscillator is calculated from the accumulation/distribution line that compares the closing price against the highest or lowest range (variation) of the given period. Then, it compares the result obtained with the total volume of the period. The indicator will thus be positive if prices have closed regularly close to their highest (buying pressure) and negative if, on the other hand, prices have closed close to their lowest (selling pressure). We are going to explain the most important terms that are used in the crypto trading markets. Here is an overview of the most important terms that you will need when trading Bitcoin or other cryptocurrencies. What is base currency in bitcoin and crypto trading? What is a Stop-Loss Order for Bitcoin Trading? What is leverage in Bitcoin trading? What is spread when trading crypto? What does a trade confirmation mean? In the currency market, currency units are quoted as currency pairs. The base currency – also called the transaction currency – is the first currency to appear in a currency pair quote, followed by the second part of the quote, called the quote currency or counter currency. in this case you would buy ETH (Ethereum) with BTC (Bitcoin). 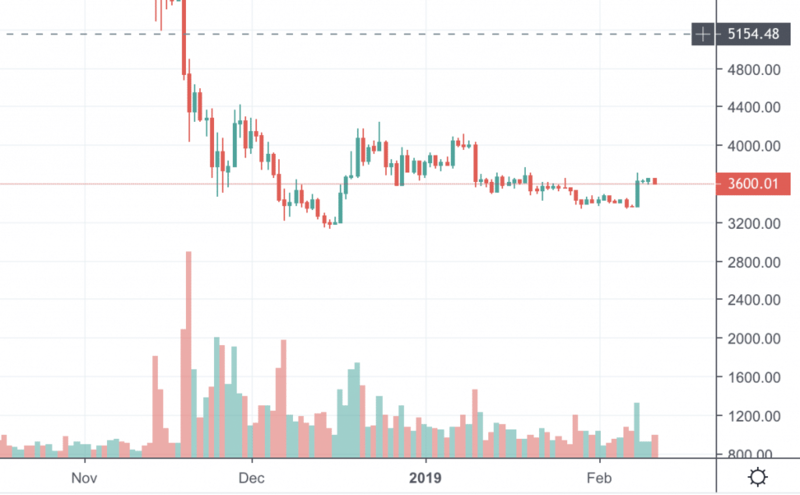 Or vice versa LTC/BTC now you would buy with LTC (Litecoin) BTC. Most crypto trading platforms offer as base currency BTC, ETH and LTC some even more. That means if you want to buy a certain Altcoin like IOTA or Ripple you first need BTC, ETH or LTC depending on the exchange. A limit order is a take-profit order placed with a Bitcoin exchange or crypto trading platform to buy or sell a certain amount of a Digital Currency at a certain price or cheaper; since a limit order is not a market order, it may not be executed if the price set by the investor cannot be satisfied during the period in which the order remains open. Limit orders also allow the Bitcoin investor to limit the duration of an order before it is canceled. A limit, in this case, stands for “maximum” so it sets a maximum price you are willing to pay. For example, a buy limit order specifies that as a Bitcoin buyer you are not willing to pay more than x USD per Bitcoin. A sales limit order ensures that you get at least a price of €X for your Bitcoin. A limit order is a take-profit order placed with a Bitcoin exchange or crypto trading platform to buy or sell a certain amount. When you place a market order you are buying at the bid price until your order is fulfilled or you are selling at the ask price until your order is fulfilled. When using a market order the buy or sell price can vary depending on the liquidity of the exchange. If the liquidity of the exchange is high and there are a lot of buyers at the market rate. Then your average price will be close to the market rate. However, if there are not a lot of buyers then your buying price will be the average price of all filled order until your order has been processed. When using market orders or stop-loss, traders use the term slippage. I highly recommend to look at the order book to determine whether or not to perform a market buy or market sell. In most circumstances a limit order is much better. If you can always perform limit orders to avoid losing money to slippage. The terminology is the same for buying or selling. But in this case, we will use an example with selling and the order book below. When someone sells bitcoin he can choose between several options. The two most common ways are limit orders and market orders. You can read about the limit and market above. 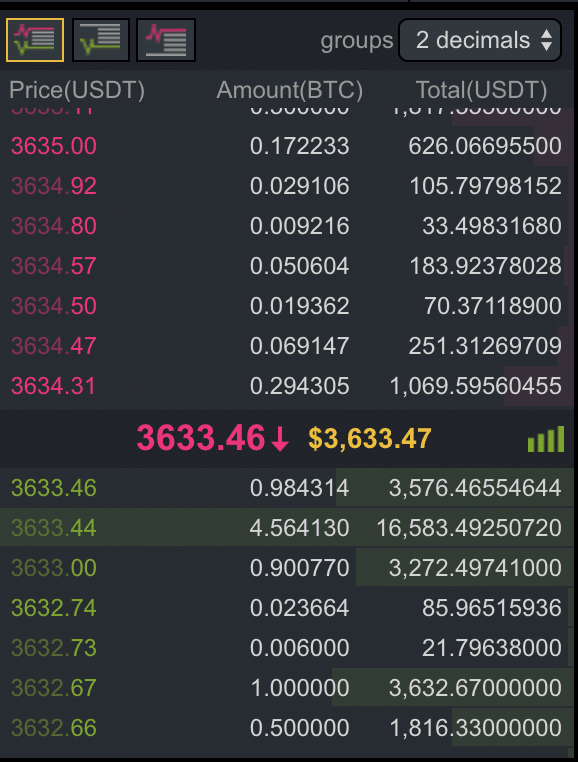 When placing a market order you cannot select which price you want to sell. It will sell at the current price until the order is filled. In this case your average price is very close to the market price. This is due to high-liquidity and a lot of demand. Many smaller market cap coins do not have this amount of liquidity. Which results in higher slippage when selling or buying. A stop-loss order is designed to limit an investor’s loss to a position in a cryptocurrency or another market. Although most investors associate a stop loss order only with a long position, i.e. buy position, it can also be used for a short position, i.e. sell position. In this case, the cryptocurrency would be bought if it rises above a defined price. A stop-loss order takes the emotions out of trading decisions and can be especially useful when you are on holiday or cannot watch your position. The stop-loss order is also known as a stop order or stop-market order. Stop in this case means a price floor at which to buy or sell. In Leverage Bitcoin Investment, debt is used to take up a position, for example: in concrete terms, leverage or leverage trading describes the use of various financial instruments or debt capital to increase the potential return on investment. Professional trading platforms such as BitMex or Bitfinex offer the possibility to borrow money (also called margin trading, the interest rate at Bitfinex is currently around 0.03% per day) to open a larger position than you could open with your usual balance. This is especially useful if you have identified a suitable Bitcoin trade and want to get the most out of it. However, there is also a higher risk involved. Spread is the difference between the bid and ask price of a digital currency or asset. This means the difference between buy (bid) and sell price (ask). If you look at an order book and look at the list of all offers, you will see that the buying and selling price are always different. This difference is called the spread. Confirmation is the use of one or more additional indicators to support a trend or buy or sell signal identified by a single indicator. Since technical indicators cannot make a perfect prediction about future price movements, a trader will not rely on one indicator alone but will take more than one indicator to rate. If all indicators such as trend line and doji send the same signal, the probability that it will accurately indicate the price is much higher. When different indicators send contradictory signals, this is called divergence. The technical indicators can be divided into four broad categories: Trend, dynamics, volatility and volume. If you are looking for confirmation for a trading signal provided by an indicator, it is usually best to use an indicator from another category. Otherwise, the same or similar possible false signals will be used as the basis for the indicator group, creating the illusion of confirmation. All these indicators can be found on tradingview.com for free. I won’t be going in full detail with all these indicators. This is just to give you an overview of what is possible. The MACD is simply the difference between two Exponential Moving Averages of different periods. The 12 and 26 day periods are commonly used for these. First, we will study the S.A.R. (Stop And Reverse) otherwise known as the Parabolic System, yet another amazing discovery by J. Welles Wilder, a genius in this area. The SAR clearly shows the trend reversal and uptrend of a stock graphically. It compares the price level of closing against the price difference over a given period. The Stochastic thus shows the relative position of the price located in a historical range. RSI is based on the observation of discrepancies between itself and the prices. Thus, when a stock conquers new highs and the RSI itself cannot create a higher peak than the previous one (called failure swing), we can consider that a reversal is being prepared. RSI above 70% or below 30%. The RSI reaches its peaks or lows before the value itself. More precisely, this means that the RSI that exceeds the 70 thresholds sends an alert, specifying that the value will make another major peak, which will probably be the last before reversal. When the RSI exceeds line 70, warning that a threshold of exhaustion of the increase is reached. 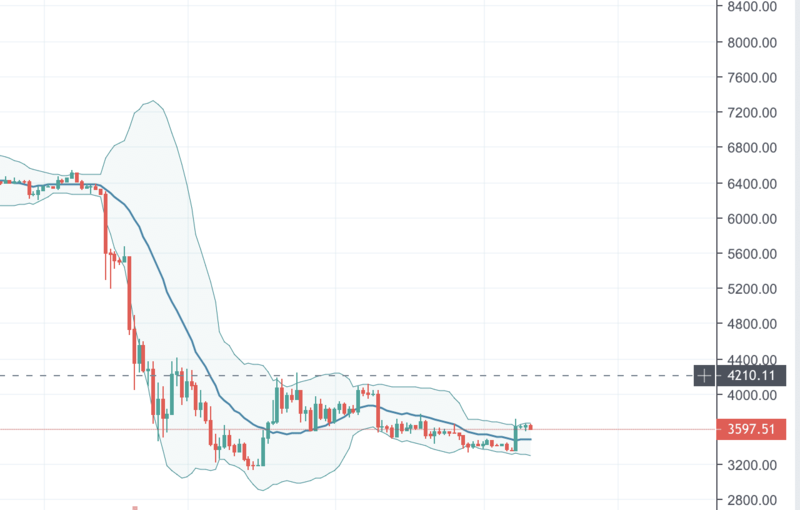 Bollinger bands are two lines placed at a fixed distance above and below a given moving average, forming a channel. Traditionally, the moving average period is 20 sessions and the spacing of the bands and +/- 2 standard deviations from the average. They make it possible to know when prices deviate too far from an average by taking volatility into account. For example, when prices move out of the upper band, it can be said that the value increases sharply. The opposite for the bottom band. The faster the prices change in both directions, the more the bands move apart. You are now familiar with the IBM title, let’s continue with it. Since this signal alone does not guarantee a price increase in the future, the experienced Bitcoin trader will consult a confirmation of another indicator type. In this case, a high trading volume would strengthen the buy signal, while a lower trading volume could question the buy signal. The trader could check the OBV: a rising OBV would confirm the bullish signal of the golden cross, while a flat or falling OBV would indicate that the price is approaching a peak. Shorting Bitcoin: How you can benefit from falling prices. While investors are expecting the stock to gain value ” going long ” and buying, traders are going in anticipation that the stock will fall ” short “. Bitcoin short selling allowed the sale of Bitcoins you don’t own. The short trader makes this possible by borrowing the stock from a broker and selling it immediately at its current market price, with the sales proceeds credited to the short trader’s margin account. At a later period, the short seller will close the short position by buying at the market price and returning the borrowed assets to the broker. The difference between the selling price and the purchase price represents the short seller’s profit or loss. This sounds complicated, but in reality it is very simple. Unfortunately, not many Bitcoin exchanges offer leverage of or Margin Trading.